Please take a minute to join by sending in your dues. Membership is open to (Owners and Renters) persons who livein Cape Story. Membership Dues are good for that calendar year only. 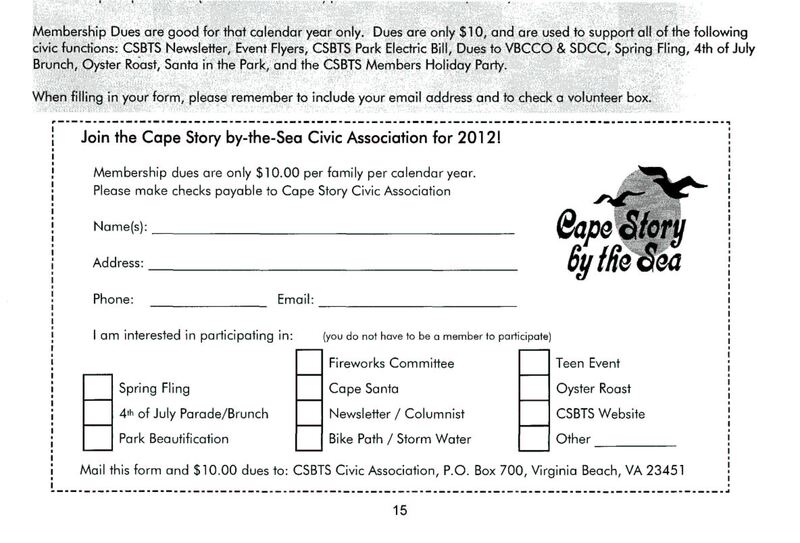 Dues are only $10, and are used to support all of the following civic functions: CSBTS Newsletter, Event Flyers, CSBTS Park Electric Bill, Dues to VBCCO & SDCC, Spring Fling, 4th of July Brunch, Oyster Roast, Santa in the Park, and the CSBTS Members Holiday Party. When filling in your form, please remember to include your email address and to check a volunteer box. Do you sell advertising space in your newsletter? If so please provide newsletter schedule, rates and submission deadlines. We are http://www.LocalHomeExpo.com which is a zip code driven directory of local residential contractors and home improvement showrooms. We are looking for neighborhood specific advertising opportunities. 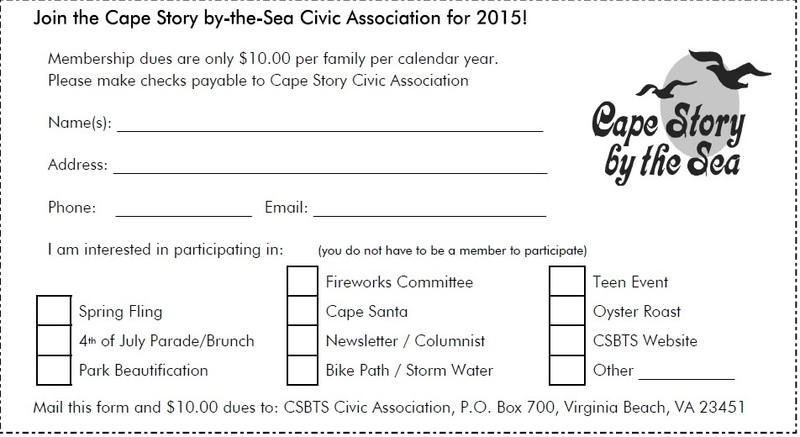 The CSBTS Skipjack newsletter is published quarterly and distributed to almost 700 households! If your business can benefit from targeted local advertising, this is the place for your ads to be seen.